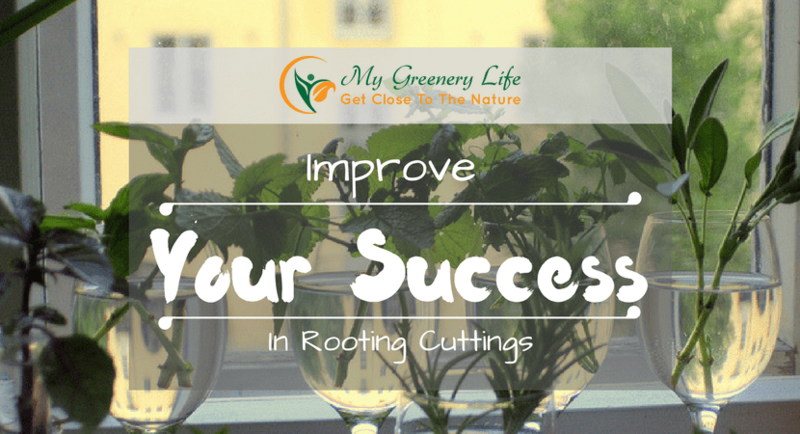 Want To Improve Your Success In Rooting Cuttings? Use Hormones! Amateurs along with most professional "green thumbs" successfully root cuttings by using plant hormones. The treatment is simple and inexpensive and the results extraordinary. You can add many beautiful houseplants, shrubs, vines, and perennials to your garden with very little expense. In fact, using plant hormones for rooting offers numerous advantages. By using rooting hormones more roots form, often 20 to 40 as against three to five by not using them. Many slow, difficult and almost impossible species root easily. Cuttings may be transplanted earlier, and the plants have greater resistance to outdoor conditions. Perhaps the greatest advantages come in cost savings and valuable time saved by using hormones. You can have fun and success with fruit and nut trees, ornamental shrubs and house plants by these simple hormone treatments. The Greeks had a word meaning "I arouse to activity," from which "hormone" is derived. Plant hormones are organic acids found naturally in plants and produced synthetically in the laboratory. The name is a good one for them indeed incite activity in cuttings. Every avid gardener knows that each plant requires different shading, temperature, moisture and rooting media. Likewise, each plant roots best under its "own" concentration needed of plant hormones, and in the type of application you apply. No general rule works for all plants, but a few general directions on - how to use rooting hormones - will aid you in getting a quick, abundant supply of strong roots from stem cuttings. Commercial preparations of plant hormones are now available under many trade names. They may be purchased inexpensively online at local nurseries or garden centers. Complete directions for use are printed on each package. You can obtain the chemicals and prepare your own, but this usually requires technical directions most home gardeners don't want to fool with. You can get plant hormones in a number of forms, depending upon the specific plants you want to start and the season of the year. At one time the most popular method was the water solution. Using this method, cuttings would stand with their lower ends about two inches deep in a water solution, containing dissolved crystals of plant hormones, for 12 to 24 hours before planting. There is a quick dip method also in which the concentration of hormones is much higher. Dip single cuttings or bundles of cuttings in the solution for about five seconds, and then plant them directly. If you have lots cuttings to treat, for example, Dracaena canes you can save a great deal of time by using bundles of even length. Many species will be stimulated sufficiently by this treatment, and the solution can be re-used. Most home gardeners use the powder form, as there is practically no danger of injuring stem tissues as there often is in the concentrated water solution. Some first, dip the lower end of the cutting in water and then into the hormone powder. Tap or shake off the excess, and plant the cutting immediately. Be sure to dip the cuttings separately with this method so that the powder is evenly distributed. For species that are very difficult to root, retreat the cuttings after two or three weeks, and then replant them. Professional gardeners think that a mixture of half peat moss and half perlite is the best rooting medium for most plants. Add some water before mixing the perlite with the peat. Protect the plants from moisture loss through their leaves while waiting for the new root system to become established. Remove about three-fourths of the bottom leaves or by shading the plants with shade-cloth and provide the cuttings with some form of moving air. Hardwood cuttings are those taken in the Fall or Winter during the dormant period. Store the bundles of twigs through the Winter, and then treat them before planting. Remember to mark the lower ends in some way so you will not make a mistake in the Spring and plant the wrong end! Take semi-hardwood cuttings during the growing season. Cut hardwood and semi-hardwood cuttings sometimes called slips, such as spirea, forsythia, dogwood, and lilac, from three and a half to eight inches long, with at least two buds per cutting. A straight cut with a sharp knife is best. Prepare soft greenwood cuttings from two to four inches long. Allow at least one green leaf to remain intact, and provide shade until the roots begin to form. 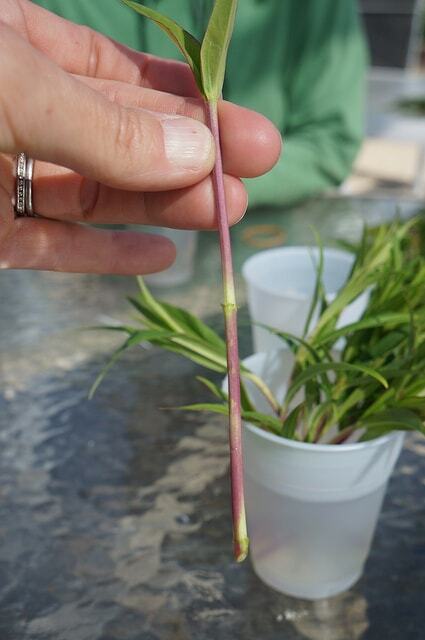 If possible, make terminal cuttings of the main stem. Avoid high concentrations in water solution for many greenwood cuttings and all herbaceous cuttings because their tissues are easily injured. Cuttings of herbaceous plants are limited almost entirely to the perennial dicotyledons. Chrysanthemums, dahlias, geraniums, verbenas, English and German ivy, honeysuckle and many others do respond well to hormone treatment, however. Herbaceous stems should snap clean across and not bend. Treat these soft stems rapidly and plant them immediately while they are still firm. Be sure that any plant used for cuttings is in vigorous health. Remember, however, that plant hormones will not cause all species to root. They do miraculous things, though they are not a substitute for good care. The careful gardener will continue to pay attention to conditions of light, moisture and temperature when rooting cuttings with plant hormones.